Great lines- this Jacket looks great! So versatile you can dress up or go casual. A bonus is the lining which is an exciting contrast. Because all the seams are hidden in the lining you can wear this inside out for another look. 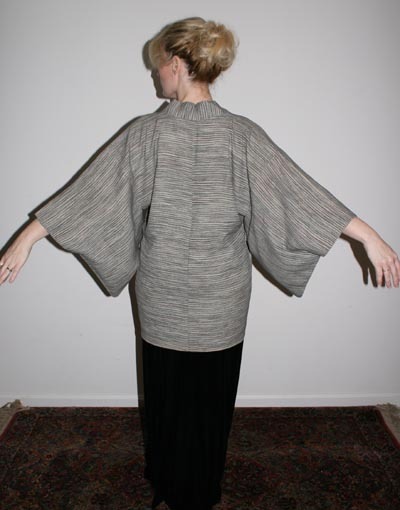 Will fit up to size 12 and has the original haori ties.